What is substantiation and why is it required? | Benefit Resource, Inc.
You went to the local pharmacy, picked up your medicine, and then received a request for substantiation. 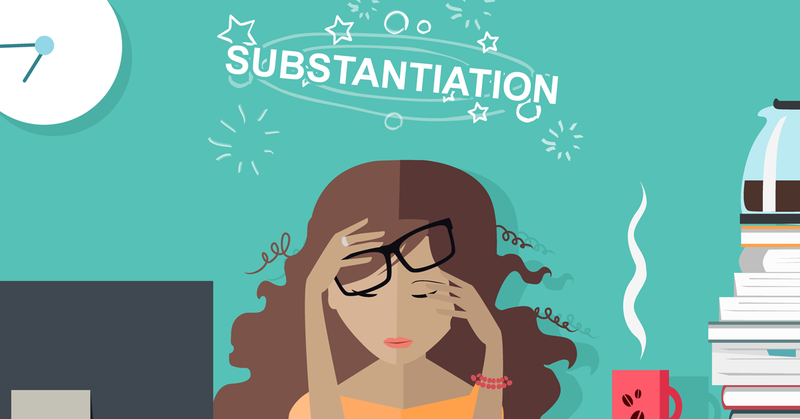 If you’ve ever wondered “What is substantiation and why is it required?” you’re not alone. Within the tax code, there is a rule that states every expense or transaction from an FSA or HRA must be substantiated. This means there needs to be proof or evidence that the funds were only used for eligible medical expenses. When using a pre-tax benefits card to access funds from an FSA or HRA, certain systems or rules try to automatically prove the funds were only used for eligible medical expenses. But, sometimes the systems and rules can’t prove that the funds were used for eligible expenses. When this occurs, you might be asked to provide “documentation support” or receive a “receipt request”. You have a medical-related purchase or service that is (as far as you know) an eligible expense. You use your pre-tax benefits card to pay for the expense and go home. Life is good. You had money in your account and paid for your expense. A few days pass and you receive a “request for substantiation”. You think back to your purchase and aren’t sure why you’re receiving a request for substantiation, since your card went through and you were confident it was eligible. We understand that receiving a request for substantiation can be frustrating. Many people wonder why they need to submit documentation if the original transaction was approved. Sometimes, people are offended that their transaction is being questioned as an eligible expense. We hear you and want to clear up any confusion. It is kind of like the old saying “if you are living under my roof, you will live by my rules”. Only the “roof” is the IRS. It is a little bit of give-and-take. The IRS is permitting you to use the funds in an FSA or HRA on a tax-free basis. In exchange, they require evidence that funds were used for eligible expenses. Employers hire companies like Benefit Resource, Inc. (BRI) to ensure these requirements are met. And ultimately, the employer can continue to offer their employees these tax-free benefits. When you see a substantiation request come through from BRI, we’re simply asking you to provide evidence that the expense was eligible since we didn’t receive enough information to confirm it automatically. Why did you approve my transaction only to decline it later? Your benefit card is designed to work at stores where most of the items sold are eligible. Keyword being “most.” But, many of these places also sell ineligible items or services (e.g. a local pharmacy). When you pay for an item at these locations, your transaction is approved assuming you likely purchased an eligible item. The transaction information is reviewed against a series of rules and previous activity to determine if we have enough information to ensure it is eligible. The problem is, the transaction information that is passed doesn’t typically indicate WHAT was purchased. Why do certain expenses seem to be flagged for substantiation ALL THE TIME? 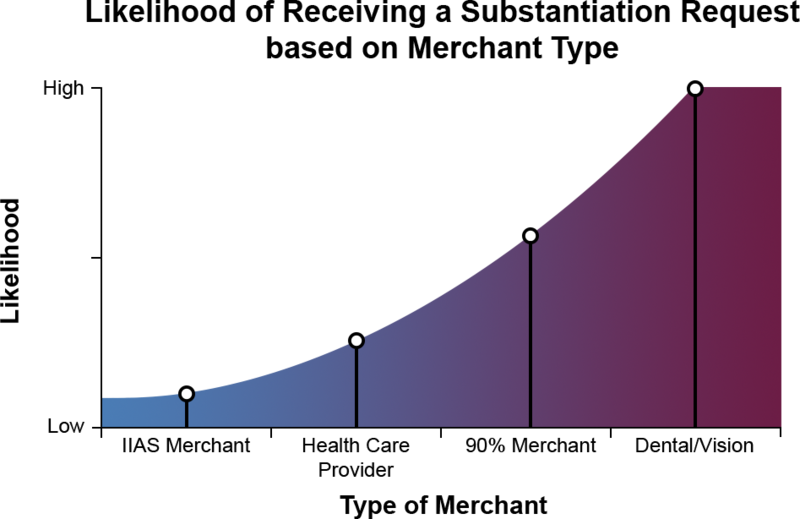 The long and short of it is that where you buy a service or item has a greater influence than what you buy on whether you receive a request for substantiation. That’s why, in some cases, you could buy the exact same item at two different locations and only be asked for supporting documentation on one item. There are different kinds of merchants (businesses or places that provide medical services) which will impact how often you receive a substantiation request. Their system uses an inventory system and flags eligible items. This will ensure that you (probably) never receive a substantiation request. If the health care provider primarily provides eligible expenses (like a podiatrist), you probably won’t receive a substantiation request. But if you go to a location like a cosmetic clinic, there is a higher likelihood you will receive a substantiation request. Why? Because the cosmetic clinic is more likely to offer services that are not eligible. If you go to a 90% merchant, you will (almost) always receive a substantiation request, unless you used your card for a co-pay. Dentists and Vision Care providers will almost always prompt a request for substantiation. These providers have things that are eligible and ineligible. Since that’s the case, we can’t assume the service received was eligible. But, don’t you get the information you need from my provider? “I used my card. It provided all the information BRI needed, right?” Not exactly. The transaction information is generally limited to date, merchant, merchant type and amount. It doesn’t generally indicate WHO the service is for or WHAT was provided. Additionally, it is not as simple as picking up the phone and asking for the information. HIPAA privacy rules and high security standards prevent health care providers from freely sharing those details with anyone that requests them. So, when it’s possible the expense is ineligible and information is not available, you receive a request for substantiation. In Part Two, we’ll cover ways to reduce the number of receipt requests you get. What did I purchase with the card that was ineligible? This was intended to be an educational piece and doesn’t reflect a specific request for receipts. Any transactions you may have would be available through BRiWeb or the BRiMobile app. Hi, I know change happens from year to year, what I have noticed is an increase of receipt requests this past year over other years I have used my card. I am receiving requests from a dentist I have been using for well over 10 years, I wonder why I need to verify it now when I didn’t have to before? It is hard to comment on the specifics of your situation without knowing the details, but it is possible your transactions had been approved as a recurring expense. With a recurring expense, you are asked to provide a receipt or documentation on the first time you have an expense. Then, any time a transaction in the same amount from the same provider is received, it can be auto-adjudicated and you don’t need to provide a transaction each time. If the amount of the transaction had recently changed, it would not be considered a recurring expense and would require a receipt to certify at the new amount. If you have specific questions, feel free to reach out to participant services. I had dentist work. This is all they gave me.. I had teeth whitening. Is this not cover? Which dental expenses are eligible and which are ineligible? I would like to purchase prescription sunglasses from Warby Parker. Can I use my card to pay for them? As long as they are using a Merchant Category Code (MCC) for vision providers, you would be able to use the card. They aren’t listed as an IIAS merchant so it is likely you would be asked to submit a receipt after the transaction has occurred.